Learn all about the time-saving enhancements in Property Tree's April release. 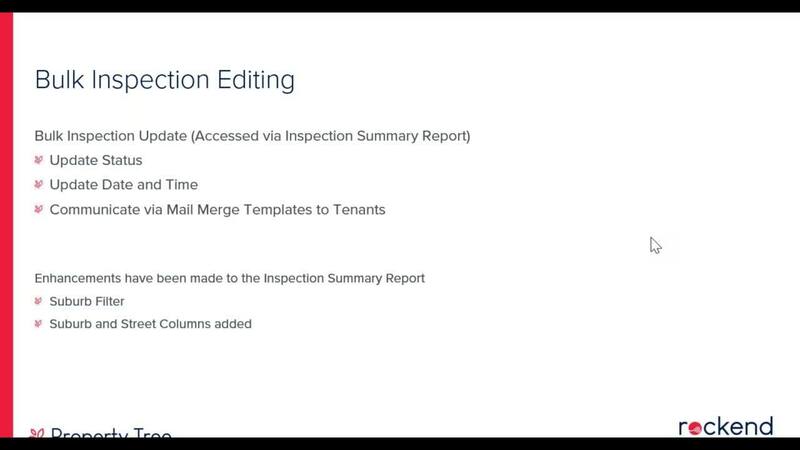 Watch this on-demand webinar and we'll show you how to update status, date and time of your inspections in bulk from the Inspections Summary Report and then simultaneously send inspection notifications to Tenants. And you’ll save even more time with recurring Invoices – available for both Residential and Commercial properties – which we’ll go through in the webinar as well. * Skip to the 2:30 minute mark of the video to go straight to the webinar content.